Edward J Chang, MD, F.A.C.S. / Our Team / Edward J Chang, MD, F.A.C.S. Meet Edward J Chang, MD, F.A.C.S. 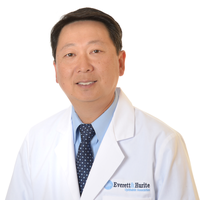 Dr. Chang joined Everett & Hurite Ophthalmic Association in 1996. After receiving his medical degree from Bowman Gray School of Medicine/Wake Forest University in North Carolina, he completed an internship at UPMC Mercy Hospital in Pittsburgh. This was followed by a residency in ophthalmology at the University of Pittsburgh and a fellowship in glaucoma/anterior segment at the Massachusetts Eye & Ear Infirmary, Harvard Medical School in Boston, MA. Dr. Chang's anterior segment training allows him to perform complicated procedures involving cataracts and cataracts combined with glaucoma. He also specializes in Toric (astigmatism correction) and Multifocal implants with sutureless small incision surgery. In addition to specializing in the medical and surgical treatment of glaucoma, Dr. Chang has completed research in the areas of antimetabolite use in glaucoma, drainage implants, combined glaucoma/cataract surgery and optic nerve blood flow in low tension glaucoma. Dr. Chang routinely performs SLT lasers and is certified for ECP (endocyclophotocoagulation) and trabectome procedures. Dr. Chang is certified by the American Board of Ophthalmology and is a member of the American Academy of Ophthalmology, Pennsylvania Academy of Ophthalmology, American Society of Cataract and Refractive Surgeons and the Association for Research in Vision and Ophthalmology.